Jack Jones watching TGWU marchers on the annual London May Day march. Jack Jones was a true colossus of the labour movement. He was an ordinary working-class man who through the strength of his convictions and the courage of his actions changed the course of history – and­ in the process improved the lives of millions of working people. Whichever way you look at it, Jack’s was an extraordinary life. It began in grinding poverty in Garston, Merseyside, where he was born in 1913. He took in the brutal realities of working in the docks during years of depression; fighting with the International Brigades against fascism in Spain; and assisting in the war effort in the factories of the Midlands. After the war Jack was instrumental in helping to build a better, fairer economy; in nurturing a strong, growing trade union movement; and in campaigning for decency and dignity for Britain’s pensioners. I first joined the TUC back in 1975, and Jack was then at his most influential, with one opinion poll suggesting the public thought him the most powerful man in Britain. The mid-70s was a period of huge turmoil: the economy was struggling, living standards were falling as prices rose faster than wages, and the Labour government was under pressure from the IMF to cut public spending. Today, almost four decades on, we face many of the same challenges. And in the midst of a new era of austerity, I believe we in the trade union movement urgently need to remember some of the key lessons of Jack’s life. We face a government making cuts of a scale and speed not seen since the 1920s, slashing jobs, services and benefits, and privatising large swaths of the public realm including our NHS. A government that says we’re all in it together as it cuts tax for the richest 1% and freezes the minimum wage for the young. We have an economy scraping along the bottom, with anaemic growth and lengthening dole queues. And we live in a continent sleepwalking towards permanent austerity, destroying growth and making debt problems worse. These are the kind of problems that Jack was all too familiar with. He understood what austerity meant for ordinary people; he knew how cuts and unemployment destroyed communities; and he saw first-hand what happened when Europe turned in on its self. The first lesson for our times that I think we can learn from Jack is that we need to build a fairer economy that can deliver decent jobs for all. For Jack, the importance of good jobs that paid a decent wage needed to be right at the heart of economic policy. Today, with unemployment heading towards three million and more than a million of our young people without work, that’s something our government desperately needs to understand. Jack was passionate about a better quality of working life for ordinary workers, negotiating reductions in the working week in car factories that set a template for the rest of industry to follow. And when unemployment was high, and millions of people were crying out for jobs, he saw no need for firms to rely on overtime. He championed industrial democracy, and was involved in the Bullock Report in the 1970s which recommended worker representation on the boards of companies employing more than 2,000 staff. Today, as we continue to suffer the consequences of a financial crisis brought about by out-of-control bankers, the TUC is arguing for new, more accountable systems of corporate governance. Indeed, through our involvement in the High Pay Commission, we recently made the case for the same kind of worker representation that Bullock advocated. “Low wages degrade the firms that pay them. Low wages cannot be justified on the argument that the firm would not survive – if it cannot pay decent wages it should not survive”. Today, these ideas matter more than ever before. In the mid 1970s, 65% of our GDP was accounted for by workers’ wages; now it’s barely more than half. And in our trickle-up economy, it’s those at the top who are claiming the lion’s share of this diminishing pie. If we are to break free from the debt-fuelled growth of the past three decades then we surely need to see ordinary workers enjoying higher wages and a fairer share of the proceeds of growth. Perhaps most fundamentally, Jack understood the need to build a stronger and fairer economy, one which delivered for those on low and middle incomes; driven by investment and manufacturing not by financial speculation; and not giving a rich elite special privileges. Those were the cornerstones of course of the post-war Keynesian settlement. Jack’s economic thinking was always forward looking. As early as the 1970s, he backed an Oil Fund using the revenues from the North Sea to finance industrial investment and a new deal for pensioners. That in fact is pretty much what the Norwegians did, to great effect. But instead the Thatcher government squandered the huge North Sea windfall in paying for mass unemployment and tax cuts for the wealthy. When it comes to renewing our ailing economy today, we need the same kind of imagination that Jack showed. Whether it’s reducing our dependence on the City, investing in the high-tech industries of tomorrow, or making the case for higher wages and a more even distribution of reward, we must take a lead from Jack and be bold in setting out the contours of a new economic settlement. So to what I think is the second lesson of Jack’s life – that the best way to improve the lives of working people is through trade union organisation. Under Jack’s stewardship, the T&G grew to more than two million members, leading a wider union resurgence that saw half the British workforce have a union card in their pocket by the late 1970s. How was this possible? Because Jack understood the importance of organising workers into unions – and of empowering their reps in workplaces. A philosophy that became known as “shopfloor power”. And Jack led by example. In Coventry, a city largely unorganised in the 1940s, he went into offices and factories, to show workers what union organisation could deliver in terms of wages, working hours and holidays. And he built a union that made supporting its branches and shop stewards its number one priority. That’s a lesson we in today’s trade union movement forget at our peril. 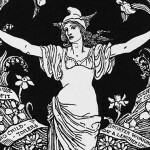 With barely more than a quarter of workers now in a union – falling to just one in six in the private sector – the importance of organising is surely self-evident. And we need to take a lead from Jack in speaking the same language as today’s working people: addressing concerns and aspirations around pay, pensions, holidays, skills, childcare, flexible working – the bread and butter issues potential members would expect unions to deliver on. Crucial though organising workers was, Jack realised that these actions needed to be accompanied by political organisation. And for him, the political vehicle for delivering social and economic justice was naturally the Labour Party. It was by working alongside the Labour government of the 1970s – even amidst economic turmoil – that Jack was able to secure important advances for working people that endure to this day: Acas, the Health & Safety Executive, employment protection legislation. It was to his great regret that the Social Contract he played such a part in drawing up with the Wilson and Callaghan governments couldn’t survive the industrial convulsions of the late 1970s. I rather wish that we could rediscover that same sense of shared purpose today. 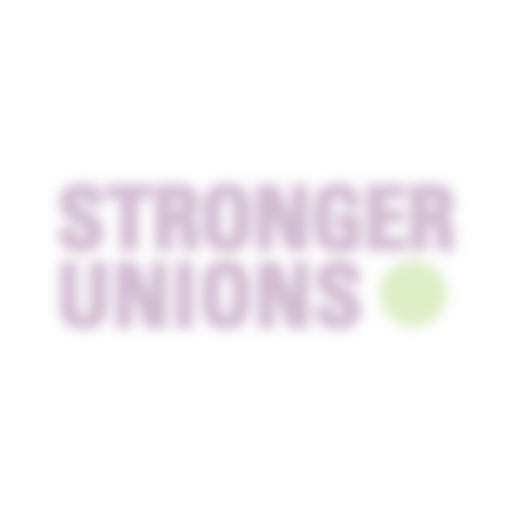 Of course the TUC isn’t affiliated to any political party, but it is to the Labour Party that unions look to deliver advances for working people – especially those that are affiliated. Today’s Labour Party perhaps needs to be a little less apologetic about its links to unions; and in turn, perhaps unions need to be a little more understanding of the challenges facing the Party in building a diverse support base. And this takes me onto what I believe is the third key lesson from Jack’s life – that leadership matters. Jack was principled yet pragmatic, determined that his values were made to count in the real world of collective bargaining and political negotiation. He knew when to fight, and when to compromise. He was certainly not slow to call a strike when he thought he could get a result. But for him, it was striking a deal that was second nature – and he would talk to anybody if it he thought it would advance the interests of working people. “The union should not place itself in the position of being blamed for not talking when our people expect it of us” … “You do not pay me to sit dumb. You pay me to speak, to act, to help, to advise, and part of the process is to publicly present our case”. However difficult it may be for us today, with the coalition government in power, we forget these words at our peril. For me, one of the defining characteristics of Jack’s leadership was his determination to engage with employers. He was keen to build relationships with companies and business federations, because he knew that it was only by talking to employers that he could win a better deal for his members. He worked hard with decent employers to win higher pay and shorter hours in return for better productivity. The chief executives of companies such as Courtaulds, ICI and GKN all trusted and respected Jack as a man of his word. Again the lesson for us is clear: if we don’t talk to employers, then we can’t complain when they don’t talk to us. “A trade union leader like myself should not be a boss. He should not dictate to his members or be paternalistic. Surely true leadership is the leadership of ideas. Justify your arguments. Use your experience. And, above all, don’t lay down barriers of red tape and pomposity between your members and the decisions that affect them”. “The world does not owe us a living and we must not be afraid to tackle our own shortcomings”… “we cannot afford to be indifferent to the effects of our actions on the public”. In this era of 24-hour news and social media, that’s a message that is even more resonant now. Lest we forget, Jack lived through some of the darkest periods in history. A time when depression and austerity had morphed into fascism and war. That is what drove Jack to fight for a better world, to strive for a fairer post-war economy, to show that through organisation workers would always be stronger together. For Jack Jones, leadership was about giving working people a sense of hope about their prospects. And at this time of crisis that, I believe, is exactly what we must do again.